3" insulation on discharge plenum, 2.25" on the air handler, sealed 100%, and still condensation. How could this be? If water were pulling off the coil, it would be dripping out by now. The Amana rep was not too worried about the return. Independent techs did SP checks. Notice how the flex ducts are moist too? Water does not travel up hill. The attic is cool and moist. The surface of the duct is cooler then the dew point. I will state again, the inner duct areas are absorbing more heat then the outer attic air is transferring into the duct, cooling the surface temperature of the duct. There is a point inside the insulation that is actually hotter then the attic air. This happens because the insulation resists heat transfer, and heat energy collects inside the insulation due to this resistance. It then gets absorbed in to the duct at a slower rate. For this to happen, there has to be a certain TD across the insulation. The higher the TD across the insulation, the closer to the cold surface this point becomes and the duct surface will be warmer. The lower the TD across the insulation, the closer to the warm surface this point becomes, or it does not happen at all, and the duct surface will feel cooler. You are purposely adding air with a high dew point in to the attic through the vents. 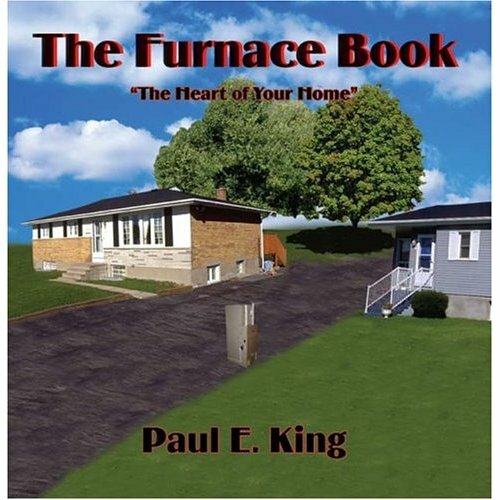 You have made it worse, by trying to be energy efficient, and adding radiant barrier, lowering the attic temperature, thus lowering the TD across the insulation. The problem will get worse with changes in attic humidity, lower thermostat settings, dirty filters, and longer run times. Usually about this time, after spending thousands of dollars, and still having condensation problems, customers begin to listen. The hot attic will allow more heat to permeate the ducts, warming the surface temp of the duct. Yes, it will cost a little more to cool the home. He could have bought a lot of electricity for what he has spent on a/c repair and replacement, radiant barrier and the such. Best solution is to spray foam the roof and seal the attic, but you said that is not possible at this time. Heck, he could have spray foamed the enclosure and had the best of both worlds for what he has spent. I hope it just stays dewy on the bottom and does not saturate and drip. By the way, many of us keep saying condensation is caused by hot in contact with cold. This is not true at all. It has only to do with the dew point of the air, in comparison with surface temperature. Dew point does not change with sensible change. Many people in our industry have misconceptions of how insulation works and what causes the sweating. Just finished "installing" the DIY fix suggested by a member who contacted me. This is not a DIY forum so I will not go into detail, and I am sure the professional members here can understand after dropping over 5k trying to fix this new system I went ahead and tried a $75 DIY fix that a 10yr old could do. Basically closed off the attic, no more air in/out of the gables/soffits, supposed to see a miraculous sweating reduction in 24-48 hours, will keep everyone posted. Going to give this 24-48 then check the inside insulation as suggested, trying to do 1 thing at a time so I do not get/give conflicting info. Sixk later not including the materials for a radiant barrier, black plastic to block off gables/soffits etc, etc and I seem to be right back where I started. The unit is sweating almost as bad as it was before which I assume will get worse as things get more and more wet. Just went into the attic and shot 2 short videos, the first shows the unit, the attic, and brings you up to date on my current situation. The second shows the inside of the unit with the door off and all the fun findings in there. This thing may just break me yet. As usual sorry for the poor quality in both audio and video, I have a bad habit of covering the microphone on my small digital camera so the volume goes up and down. Thanks for your suggestions and opinions, no resolution yet but still VERY much appreciated. The videos are uploading, in the meantime, here is a picture of the duct board thickness with the front panel pulled off as someone asked for it, and the blackout is to cover the name of the company that has been working on this unit. I bet fixing that return will be a million dollars less than spray foaming the attic. And spray foaming the attic won't fix coil blow off. Get that return duct pointing straight at the coil and problem goes away. 0.5 is borderline in an otherwise properly ducted return. The general consensus around here is your system is likely operating at 900-1000 cfm at a 0.5 static. This causes more latent removal. Many systems utilize a lower fan speed to achieve more latent (humidity) removal from the house, so by itself a low airflow does not necessarily mean a sweating air handler. In your situation, your indoor blower is at full speed and its trying to overcome the restrictions and tight bends in the ductwork, specifically at the tight bend of the 16" flex as it enters the return air plenum. This is causing a high velocity (nozzle effect) right at the coil. I believe the "nozzle" is pointed right at the front of your coil as per my drawings. The higher velocity is causing blow off of the water. Some of the water is soaking the insulation around the front of the coil and some is being sucked up by the fan and sprayed down the supply duct. Restricted duct right at the point of entry to the plenum causing the "nozzle"
If you lower the humidity/temperature of your attic you will simply have a leaking air handler when you are done. The humidity of your climate has really clouded what is actually a very common problem- a leaky air handler. As far back as possible, I'd use a transition to at least an 18" duct & run it at least 3 feet above the plenum using long radius ells. That provides 3-feet of straight run into the plenum. 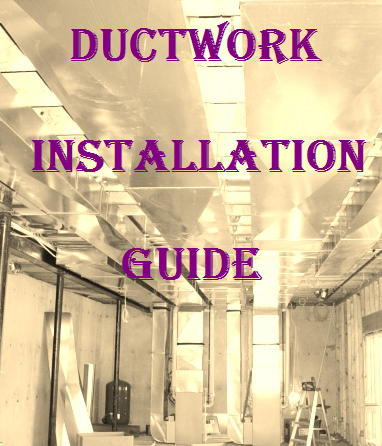 To get even duct flow after an elbow, using 2-times the ducts diameter 18" duct X 2 = 36" or 3-feet. Then when the airflow gets to the plenum, it should be evenly distributed throughout the diameter of the duct & be at a much lower velocity. Thanks for the wishes and back pats, went to bed last night with a list drawn, schematics printed and ready to go. After not hearing from the HVAC company that I deal with, it is a big company and I emailed and called the specific service manager I deal with yesterday I called the general number and asked to have someone sent out so I could get the requested readings. I got a call today, they saw I requested they come out and take the readings and the service was intercepted, Amana was called, and now it is time for the good, the bad, and the ugly. - Amana was contacted by the company and is willing to supply another new air handler, yup a brand new air handler even though they gave the HVAC company a new one a couple weeks ago to fix this, a brand new one. - Through this mess my wife has not left me, and my family has dealt with living in basically an unconditioned house (cool wise) for over a year in Florida and survived with out me, or anyone else going all Jack Torrence on everyone. The company was only willing to install it in the bedroom closet as mentioned before. I would obviously need to pay to have it installed in the closet, including having electrical run etc. Once the unit is installed in the closet they would no longer deal with any duct issues in the attic, heavy condensating, etc, and I would have to sign something that said they were in no way responsible how the ducts dealt with the temp change. They will also not be sending a tech out today to go over the levels that Beenthere and other members have requested as "they have checked the static before and sending someone out would be a waste of time". I emailed the service manager the diagrams that Crmont put on specifically the one outlying the potential problem with a major bend and high static pressure. That was deemed not the case based on other installs with more extreme bends that had no issue. So, what the hell do I do here? If I fire this 4th HVAC company that has been out here I loose what little value is left in their 10year "extended warranty" and have to start from scratch with a new company. I will not get assistance from Amana in a new air handler or a slightly reduced labor cost. BUT I get to pay for yet another installation, including rerunning the electrical, carpentry as they insist on me using a licensed carpenter. I'll get an air handler 6ft away from my bed that I get to listen to click on and off for the foreseeable future, loose a ton of my already limited closet space AND if there are any further issues I have signed a document that says that this HVAC company is not responsible?!? I can't believe that whoever replaced the return duct with a bigger one thought that the original and ONLY return grill with a 20X20X1 filter in it would have adequate airflow for a 3 ton system. A single 20X20X1 inch filter will support 1.5 tons at best. It needs multiple returns with a properly designed return plenum. This will slow down the velocity and get the static pressures back down where they need to be. You've had what, 5 contractors out there and an Amana rep and none of them immediately saw a red flag from the return grill size. Unbelievable. Now they want to give you a new air handler and have you sign a piece of paper, basically saying they are washing their hands of you. You have paid for professional service. Them, saying we can't figure out your problem, here's a new air handler, go away now is not professional service. I think it may be time to get a lawyer involved. You have dealt with substandard service long enough. Who knows what kind of problems could arise from the closet install let alone having to try and sleep 5 feet from it. In addition, if there are problems, no one will want to work on it. First few pics of the return plenum. The #1 #2 #3 in the diagram are where the pictures were taken from. Ok views of the all important door. #1 is of the outside, the area circled on the inside of the door is the subject of this post (above). Couple pics from inside, this is from inside the unit, not sure if I am paranoid but does it look like there is a lot more water, and a lot of water RIGHT next to the edge of the pan on the door side, and the corner near the door side? One last round of pics here, taken after the unit ran for about 20 minutes. Shut the unit down, pulled off the plexi, took some pics and put it back together, man oh man did it feel nice to have the house under 80 for a few minutes. Keep in mind these are all pics of a unit that is a little over a week old, wrapped in ductboard. This pic is from a side view looking in, you can see the coil gets wet, drips, and air flings it around, including onto the side (door side) of the unit, which gets the insulation wet, can really see it at the bottom. This pic is of the pan (above), you can see that to the right of the pan is getting droplets flung onto it, assuming after a few days of running this would get really wet. It also shows the front right (as you are looking at it) corner of the pan gets most of the water, droplets land on the edge, drip over, etc. This pic (above)shows the back of the unit (opposite the door side) if you look in the circle you can see that even in the back there is a little water being flung onto the insulation. These next 2 pictures show the pan again, how much is getting slopped/dripped off the sides? And even sweating on the bottom side. Static is too high. And you're probably getting return air pulled under the drain pan, which then causes the moisture to condense. I see exactly what I expected as far as blow off. As Beenthere said, the drain pan is sweating. I do not see the darned insulation kit under that pan as I suggested. While I see a majority of splatter at the front, it appears that there is a small amount at the back as well. The velocity is obviously too high. The door insulation should not be touching the copper header of the coil. The header MUST be insulated with armaflex just like your line set. This will prevent the condensation on the header. The end loops of the coil also sweat and the velocity is causing splatter on both ends of the coil. The condensate is not draining down the coil due to the high velocity. When enough water stacks up, large drips of water hit the pan and cause a splash of small droplets that get sucked up by the fan and sent down the supply duct. Low flow with high velocity. When a technician showed up he looked over the whole system, mentioned that the two driers were not ideal but should not cause the issue, said he had would like to try some more economical fixes in order to isolate the problem. I sat down and spoke with him first, he is Company A's most senior tech, has been in HVAC since the late 60s and has a mustache so in my book that's a good start. He spent about 15-20 minutes looking over the two manuals I have (air handler and compressor) asked about the DHIP insulation kit, etc. Looked for double trapping, and looked for and asked several questions similar to what I have seen in this thread, so that made me feel a bit more confident. He also mentioned the supply ductwork was poorly installed and by no means ideal. The return he said might be a touch on the small side but due to his readings should not cause the system to get as wet as it does. When he pulled off the air handler door he noticed the water droplets and watermarks on the door where water came off the coil, he continued to investigate that for a while then I mentioned the plexi-glass and he threw that on the door. We let it run for a couple of minutes and this is what we saw. No surprise there, water being pulled off the copper pipes and hitting the glass where the door usual is. He said as people have suggested here that was most likely the problem and he wanted to try an inexpensive fix to try to isolate the problem before throwing expensive parts and labor-intensive repairs at it. So he spent about 15 minutes doing this. What you see is the copper pipes by the coil insulated and wrapped, this reduces the airflow of that section slightly, insulates the tubes so they condensate less, and is set up in such a way that if they do leak/condensate/drip that the water goes into the pan. This is in the ballpark of some fixes that have been suggested here, now time will tell, it is unseasonably cool here today (in the 80s which is chilly for this time of year) but going to let the unit run for a little and see what happens. Anyway, more info to come as the A/C runs currently 76 degrees in my house.